Funnel plot exploring publication bias: number of stroke cases in each case-control study (sample size) vs the natural logarithm of the odds ratio of stroke risk. Background Use of the oral contraceptive pill (OCP) has been reported to be associated with stroke. With current OCPs containing less than 50 µg of ethinyl estradiol, and many earlier studies reporting the association between OCPs and stroke, subjected to biases, we determined whether such an association exists and, if so, the magnitude of the risk. Methods Two independent searches were conducted to obtain relevant articles from MEDLINE, EMBASE, and Science Citation (1970 to June 2000). Eligible articles published in English describing OCP use and stroke outcomes were retrieved, and relevant data were abstracted. Pooling of results from these studies was performed using odds ratios (ORs) provided, and heterogeneity was calculated using χ2 analysis. Results From 779 potential articles, 36 eligible studies describing 20 distinct populations were retrieved (4 cohort and 16 case-control studies). The pooled OR from the cohort studies demonstrated no increased stroke risk with OCP use (0.95; 95% confidence interval [CI], 0.51-1.78; P = .01); the pooled OR from the case-control studies showed a significant association (2.13; 95% CI, 1.59-2.86; P<.001). The risk of stroke with OCP use, however, was significant only with thrombotic stroke (2.74; 95% CI, 2.24-3.35; P = .009) and not with hemorrhagic stroke or stroke death. There was statistically significant heterogeneity among these studies, and potential biases and confounders were not adequately addressed. Conclusions These results cast doubt on a true association between low-dose OCPs and stroke because of the low absolute magnitude of the ORs, the severe methodological limitations, and the ORs of less than 1.0 in the cohort studies. The association is tenuous at best and perhaps nonexistent. The oral contraceptive pill (OCP) was introduced in the late 1950s, and it has become the most popular form of birth control among women worldwide. The first report of a woman who had a stroke while taking the OCP was published in 1961.1 Subsequently, several case-control studies2-4 performed in the late 1960s supported an association between OCP use and stroke. However, these early studies were profoundly flawed; the diagnosis of stroke, which is inaccurate on clinical grounds, was not confirmed with radiologic imaging, leading to a strong potential for bias and a misclassification of the presence and absence of and the type of stroke. For example, women with neurologic symptoms not due to stroke were likely misdiagnosed as having stroke if objective testing was not performed. Furthermore, differentiating hemorrhagic from nonhemorrhagic stroke is difficult or impossible without modern imaging techniques. Important formulation changes have also occurred, severely limiting the generalizibility of these early studies to women using current OCPs, which contain much lower doses of estrogen and, in some cases, different formulations of progesterone.5-7 Current OCPs contain one third to one fifth of the amount of ethinyl estradiol as early OCP preparations. It is highly likely that lowering of the estrogenic dose has reduced the thrombogenicity of the OCP; the role of altering the progestin component in causing thrombosis remains controversial. A pooled analysis8 of 2 recent studies from the United States reported that the low-dose (<50 µg of ethinyl estradiol) OCP was not associated with stroke. This conclusion contrasted with the results of 2 recently published multinational studies9,10 that showed an association between low-dose OCPs and stroke. These divergent results have led to a controversy that is amplified further by the results of a recent meta-analysis11 that reported a statistically significant association between low-dose OCPs and ischemic stroke. Stroke is rare in young women; the baseline incidence of stroke in women younger than 35 years is estimated to be 6 to 20 per 100 000, and the incidence increases with age.12 Its long-term effect can be devastating, and approximately one third of strokes are fatal.12 Most OCP preparations now prescribed contain low-dose ethinyl estradiol.5 In addition, the indications for OCP administration have increased,6 and use of the OCP in older women is expected to increase in frequency. These issues underline the importance of determining whether an association exists between low-dose OCPs and stroke and, if so, the magnitude of the risk. Two of us (W.-S.C. and J.R.) conducted independent searches of MEDLINE, EMBASE, and Science Citation for studies published between 1970 and June 2000. Potentially eligible articles were identified from MEDLINE using the following MeSH headings: "cerebrovascular disease" or "cerebrovascular accident" or "stroke" or "cerebral infarction" and "oral contraceptive pill" or "birth control pill" or "oral contraceptives." Search terms used for EMBASE and Science Citation were "stroke" or "cerebrovascular disease" and "birth control pills" or "oral contraceptives." We included only articles that were published in English and that reported use of estrogen-containing OCPs and strokes as primary outcomes. We excluded case series and case reports in which a comparative control group was absent. We categorized potentially eligible studies according to their design: cohort studies and case-control studies. No randomized controlled trials were identified. The retrieved studies were then reviewed independently by 2 of us (W.-S.C. and J.R.) to ensure eligibility, and when there were multiple publications of the same population, only data from the most recent publication with the most relevant information were used for data abstraction. Abstraction of data was performed by 2 of us (S.G. and E.K.W.) who were masked to authorship of the article, institution, journal of publication, and funding source. When differences were found in data abstraction, they were reviewed again by the same investigators, and any persistent differences were resolved through consensus. Several analyses were performed. We combined the odds ratios (ORs) from studies using the technique of weighing the studies by within-study variance, as described by Fleiss.13 Heterogeneity among studies was calculated using χ2 analysis.13 When between-study variances are heterogeneous, the 95% confidence intervals (CIs) of calculated pooled ORs (using weights based on within-study variability) may be inappropriately narrow. As such, we calculated a modified pooled OR that takes into consideration within- and between-study variances (denoted as ORb) to derive a more conservative (wider) 95% CI. Several subgroups were pooled and analyzed. First, all studies including all strokes were summarized. In addition, subgroup analyses according to study design (cohort vs case-control), stroke type (hemorrhagic stroke, thrombotic stroke, and stroke death), and classification of patients with stroke according to status of OCP use (current and ever-users) and type of OCP exposure (second- vs third-generation OCP). Differences among subgroups were calculated using the standard gaussian Z statistic. To investigate the possible presence of publication bias, a funnel plot of the sample size against the natural logarithm of reported ORs was plotted.14 In addition, we examined whether differences existed in the magnitude of the association between OCPs and stroke risk in studies with 250 or more cases compared with studies with less than 250 cases of stroke. On initial search, 779 potential articles were found; after initial screening, 40 studies9,10,15-52 were considered to be potentially eligible (Figure 1). No additional studies from Science Citation or EMBASE or through review of bibliographies of retrieved articles were identified, but 2 publications53,54 detailing the methods for 3 of these studies9,10,15 were retrieved. There were 4 cohort studies,20-23 16 case-control studies,9,10,15,24-36 and no randomized controlled trials. The number of cases (n = 4213) and controls (n = 10 893) from the 16 case-control studies are displayed in Table 1. In the 4 cohort studies,20-23 there were 130 stroke outcomes from a pooled cohort of more than a million women. These studies were conducted predominantly in women 44 years or younger. Seven studies were conducted in North America,20,21,24-26,33,34 4 in the United Kingdom,22,27,31,32 5 in Europe,23,28,30,35,36 and 1 in Asia.29 Three studies9,10,15 involved participants from more than 1 country. These 20 studies spanned 3 decades. Sixteen studies9,10,15,20-23,25-29,31,33,35,36 were published after 1980, and 8 of these studies9,10,15,25-28,36 were published after 1990. Study participants were only exposed to OCPs that contained 50 µg or less of ethinyl estradiol in 8 studies.9,10,15,21,22,25,26,28 In the remaining 12 studies,20,23,24,27,29-36 the type of OCP exposure was not explicitly stated. Stroke outcomes were classified into thrombotic stroke, hemorrhagic stroke, and stroke death (Table 1). Twelve studies20,21,24-31,33,34 included thrombotic and hemorrhagic strokes, 5 studies9,10,22,35,36 evaluated only thrombotic strokes, and 3 studies15,23,32 evaluated only hemorrhagic strokes. In addition, 3 studies21,23,31 evaluated stroke deaths. There were many methodological issues of concern in these studies. In 14 studies,9,10,15,20,23-26,31-36 a combination of clinical and objective diagnostic testing was used to define stroke cases; in 6 studies,21,22,27-30 the definition of stroke was not explicitly stated. The study investigator was masked to the status of OCP use when diagnosing strokes in only 4 studies.9,15,20,31 Stroke cases were independently verified or adjudicated in only 8 studies9,10,15,24,25,27,29,36 by either an independent physician or a committee. In 17 studies,9,10,15,21-28,30-32,34-36 the authors presented the risk of stroke in current users of OCPs. These studies, however, provided varying definitions of current OCP use: 1 month or less,24,26,27,31 3 months or less,9,10,15,32 6 months or less,36 and 1 year or less.21,22 In 6 of these studies,23,25,28,30,34,35 the period for current use was not stated. Three studies20,27,29 presented data on "ever-users" of the OCP, encompassing current and noncurrent users. In the remaining study,33 the status of use was not stated explicitly. The overall pooled OR for the risk of stroke in women exposed to the OCP was 1.79 (95% CI, 1.62-1.97) (Table 2). There was significant heterogeneity among the studies (P<.001). Taking into account the between-study variability, the pooled OR, or ORb, was 1.92 (95% CI, 1.44-2.57). The pooled OR from the 4 cohort studies20-23 demonstrated no increase in the risk of stroke with OCP exposure (ORb, 0.95; 95% CI, 0.51-1.78). The pooled ORb of the 16 case-control studies,9,10,15,24-36 however, was statistically significant (ORb, 2.13; 95% CI, 1.59-2.86). The pooled OR of the cohort studies was significantly different from that of the case-control studies (P = .03). When pooling by stroke subtype, the ORb of thrombotic stroke associated with OCP exposure was 2.74 (95% CI, 2.24-3.35), whereas the risk of hemorrhagic stroke was 1.30 (95% CI, 0.99-1.71) (Table 2). The ORb of studies investigating the association of OCP exposure and stroke death was 0.94 (95% CI, 0.51-1.74). The association of OCPs and stroke was significant in current users of the OCP only and not in ever-users (Table 2). Analysis of study subgroups based on stated levels of ethinyl estradiol exposure revealed that the ORs were significant in women taking OCPs containing 50 µg or more and less than 50 µg of ethinyl estradiol. Analyses of studies by progestin type (second- or third-generation OCP) showed significant association with stroke for both types. Women 35 years or older taking the OCP (ORb, 2.26; 95% CI, 1.62-3.14) seem to be at slightly increased risk of stroke compared with women younger than 35 years (ORb, 1.31; 95% CI, 1.00-1.72) (Table 2). Similarly, smokers (ORb, 3.50; 95% CI, 2.17-5.64) taking the OCP seem to have an increased stroke risk compared with nonsmokers (ORb, 1.86; 95% CI, 1.46-2.37). The strongest association, however, was found in women with hypertension (ORb, 9.82; 95% CI, 6.97-13.84) compared with normotensive individuals (ORb, 2.06; 95% CI, 1.46-2.92). When we examined the effect of stroke risk according to the definition of control groups—noncurrent users or never-users—the magnitude of this association seemed to be less significant if never-users were used as controls compared with noncurrent users. Similarly, use of community controls seemed to decrease the strength of the association compared with use of hospitalized controls. Significant heterogeneity (P<.05) was observed when pooling these studies, whether by stroke type, study type, status of OCP use, or risk factors (smoking or the presence of hypertension) (Table 2). Heterogeneity, however, was not significant when studies were stratified by age (<35 vs ≥35 years). We investigated the possibility of publication bias by use of a funnel plot14 (Figure 2). The number of stroke cases in each case-control study was plotted against the natural logarithm of the OR of stroke risk. Visually, it appears that the study points are symmetrically distributed in an "inverted funnel," consistent with a lack of publication bias. We further performed subgroup analysis of case-control studies with 250 or more cases compared with those with less than 250 cases. The ORs were similar for both groups: 1.86 (95% CI, 1.39-2.50) and 2.50 (95% CI, 1.45-4.32), respectively (P = .35), again consistent with a lack of publication bias. The results of this study cast doubt on a true association between low-dose OCPs and stroke. In favor of an association is the consistency and the statistically significant increase in the ORs of the case-control studies, the finding that thrombotic stroke risk is increased with OCP use, and the increased risk of stroke in current users of the OCP. However, the low absolute magnitude of the ORs; the severe methodological limitations, including the potential for bias and control of confounders; the heterogeneity of the studies; and the ORs of less than 1.0 in the cohort studies and studies evaluating stroke deaths render the association tenuous at best and perhaps nonexistent. There are important biases and confounders in the case-control studies that may account for the observed association between low-dose OCPs and stroke. For example, in most studies, there was strong potential for diagnostic suspicion bias. Only 6 case-control studies9,15,24-26,29 had independent adjudication and confirmation of stroke diagnosis, and in only 4 studies10,15,29,31 were investigators masked to a woman's exposure to the OCP when diagnosing stroke. This is likely to result in an overestimate of OCP users, and it could skew the result toward an association between OCPs and stroke risk. In addition, the definitions of current and noncurrent OCP use were inconsistent. In some studies,24,26,27,31 patients were defined as current users if they had taken the OCP within 1 month; in other studies,21,22 it was within 1 year. Therefore, study participants defined as noncurrent users in some studies could be considered current user in others. This could result in a woman being classified as an OCP "user" in one study and a "nonuser" in another. Quantitatively, we further demonstrated that the magnitude of association between OCPs and stroke in this meta-analysis could be affected by 2 separate analyses: (1) selection of control groups (community vs hospitalized) and (2) status of OCP use in the control group (never-users vs noncurrent users). When we compared the risk of stroke in studies using community controls, the pooled ORs were lower than those found in hospitalized controls. This difference might be a result of less complete ascertainment of exposure to the OCP in hospital-based controls compared with community-based controls. When we further analyzed the studies using noncurrent users for comparison (thereby including past users or never-users), the pooled OR of stroke was increased slightly over those studies in which never-users were used (OR, 1.91; 95% CI, 1.21-3.02 vs OR, 1.55; 95% CI, 1.06-2.27). Women who are never-users do not take the OCP or may not have been prescribed the OCP because of the presence of other risk factors, such as hypertension, smoking, diabetes mellitus, personal or family history of cardiovascular disease, and a perceived increased baseline risk of stroke. Similarly, noncurrent users may reflect a group of women with a lowered baseline risk of stroke having also been previously challenged with higher-dose OCPs and remained stroke free. Given the point estimate suggesting a weak association between OCPs and stroke (OR, <2.0) and the limitations discussed previously herein, the true relationship might be weaker than estimated or possibly nonexistent between OCPs and stroke. Further evidence that an association between OCPs and stroke is in doubt is the negative finding from pooling of the 4 cohort studies. Although limited by the number of stroke cases, these 4 studies might be methodologically superior to the case-control studies and hence might present a more valid assessment of stroke risk. There are limitations to this meta-analysis. Ideally, meta-analyses should be performed using randomized controlled trials. 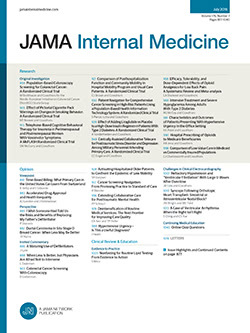 Many experts contend that meta-analytic techniques should not be applied to observational studies55 because the meta-analysis of randomized controlled trials is based on the assumption that each individual trial provides an unbiased estimate of a treatment effect, with the variability among studies due to random variation.55,56 The variability among observational studies may not be random but instead may be the result of inherent biases or confounders. Therefore, they argue that meta-analysis of observational studies is liable to produce "spurious precision. "56 On the other hand, other experts57,58 argue that systematic reviews of observational studies are still important, as a return to nonsystematic "summaries" of studies in the literature is more likely to lead to biased conclusions. In addition, study quality assessment has been advocated to be an important part of a meta-analysis. Much of the literature published on quality assessment of studies, however, was performed on assessment of randomized controlled trials59; there is little on observational studies. For this study, we chose to include all eligible studies in the analysis and to highlight important methodological deficiencies to enable the reader to assess the validity of our conclusion that the association of OCPs with stroke is certainly in doubt. The risk of stroke associated with OCPs is likely to increase in the presence of hypertension, smoking, and increasing age. Therefore, in women older than 35 years, the OCP should probably be administered with great caution in smokers with hypertension and only if the best efforts are made to control blood pressure and stop smoking. Based on the results of this study and assessment of the quality of the published data, it cannot be concluded with certainty that there is an association between OCP use and stroke. If such an association exists, it has probably been exaggerated, particularly in women younger than 35 years who are normotensive and do not smoke. Future studies exploring the relationship between OCPs and stroke should be performed that minimize biases and confounders and carefully address the methodological limitations of previous studies. Corresponding author: Wee-Shian Chan, MD, FRCPC, MSc, Women's College Ambulatory Care Centre, Sunnybrook and Women's College Health Sciences Centre, 76 Grenville St, Toronto, Ontario, Canada M5S 1B2 (e-mail: wee-shian.chan@sw.ca). Accepted for publication May 13, 2003.